Join Ruby, a plucky little bird, as she ventures through life, making new friends, learning new skills and asking questions which may have some very surprising results. Fearless Ruby's search for adventure, friendship and her place in the world comes to life through acclaimed author/illustrator Philip C. Stead's whimsical illustrations and succinct, charming text. If you want to see a whale, you will need to know what not to look at. Pink roses, pelicans, possible pirates . . . If you want to see a whale, you have to keep your eyes on the sea, and wait . . .
and wait . . . and wait . . . In this quiet and beautiful picture book by Julie Fogliano and Erin E. Stead, the team that created the Boston Globe-Horn Book Honor book And Then It's Spring, a boy learns exactly what it takes to catch a glimpse of an elusive whale. Peter and his father are moving to a new house beyond the dark unfriendly woods. When they arrive at their new home, Peter wants to turn back. Fortunately, he has Harold for company, but Harold is just a dog and can't help Peter. Scared of the things hidden in the woods, Peter makes a tall pile of pillows. He stiches and sews. He pushes and pulls. And when he is done, he has Lenny, Guardian of the Bridge, to protect him and Harold. 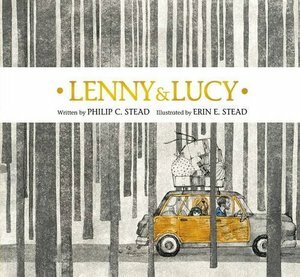 Lenny is a good guard but Peter worries that Lenny will get lonely out by the woods all by himself, so he makes Lucy, who is a good friend. 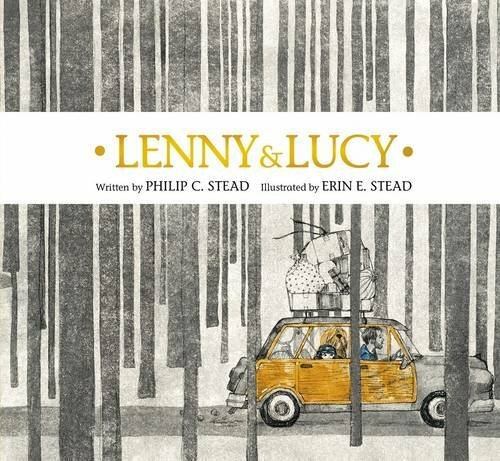 Together, Lenny, Lucy, Peter, and Harold discover that this new place isn't so scary after all. One sunny day Samson, a large and friendly woolly mammoth, encounters a little red bird who is looking for yellow flowers for her mouse friend (whose favorite color is yellow). 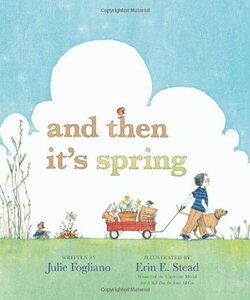 As she flies off with the flowers, Samson wonders what it must be like to have a friend. He wonders this for so long, in fact, that he falls asleep and wakes up to a world covered in snow. 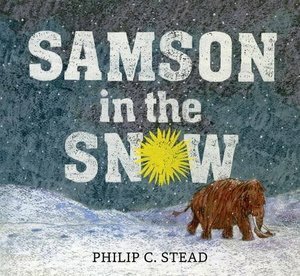 In the midst of a blizzard, Samson finds and shelters the little red bird and flower-loving mouse in a tender tale of kindness and unexpected friendship. On a boring day, on a dull street, Sebastian sat high atop his roof―something he was never supposed to do. When he launched himself into the air in his balloon made of Grandma's afghans and patchwork quilts, his journey took on a life of its own and his boring day turned into the adventure of a lifetime. 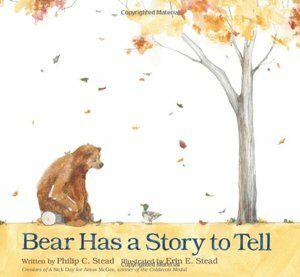 From award-winning author/illustrator Philip C. Stead, comes another timeless adventure with his trademark whimsical illustrations and an unwavering spirit. and a ton of love . . . 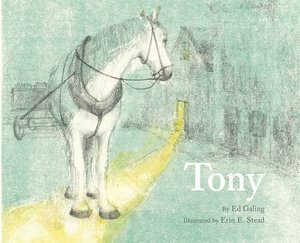 Follow this touching tale of a boy and his friendship with a horse, by the late poet Ed Galing and illustrated with remarkable tenderness by Caldecott-winning artist Erin Stead.